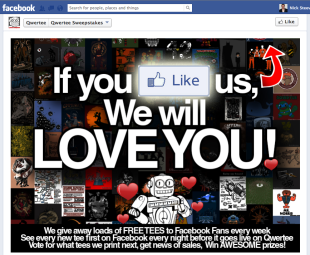 Facebook contests are the fastest way to engage users and drive new Likes. The lure of a big prize (one that’s relevant to your specific target market) makes it a no-brainer for your target customers to “Like” your Page and become your Fan. 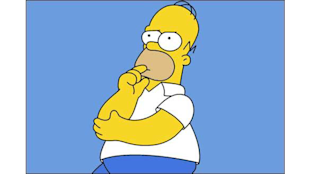 A Facebook contest that lives in a Tab on your Page can be “like-gated”. This means that a person must Like your Page before they can access your contest. How it works is, a person who has not Liked your Page will see a like-gate image instead of the contest when they arrive at the contest Tab on your Page. The image will have some text that instructs them to click the Like button above the tab to access the contest. Once they Like your Facebook Page, the contest Tab will refresh to display the contest to them. This requires some code to do on your own, but a Facebook Contest App like Wishpond’s handles this for you in the back-end. To set up a like-gate all you need to do is check a checkbox and it’s done. After contests, coupons are the best and fastest way to get new Likes. Recent studies have shown that 57% of social media users Follow a brand for access to competitions and free stuff. Even something small like a 25% Off coupon to your store will do the trick. Using a Facebook Coupon App like Wishpond’s makes it easy to create a Tab on your Facebook Page where people can download a coupon. And just like with the Facebook Contest App mentioned in the previous section, you can like-gate your coupon with a single click. The best way to promote a like-gated coupon is to feature it on your website. Visitors to your website are obviously interested in purchasing from you, so a free coupon will be very enticing to them. And as they’re already showing interest in your business, they are perfect people to have Likes your Page and engage with. The best way to use Facebook Ads to get new Likes is to use them in conjunction with a like-gated Facebook Contest or Coupon. Just make the click destination for your Ad be the contest or coupon Tab on your Page and start counting your new Likes.